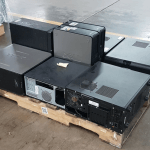 You have a pile of electronics and a pallet to put them on. Now what? 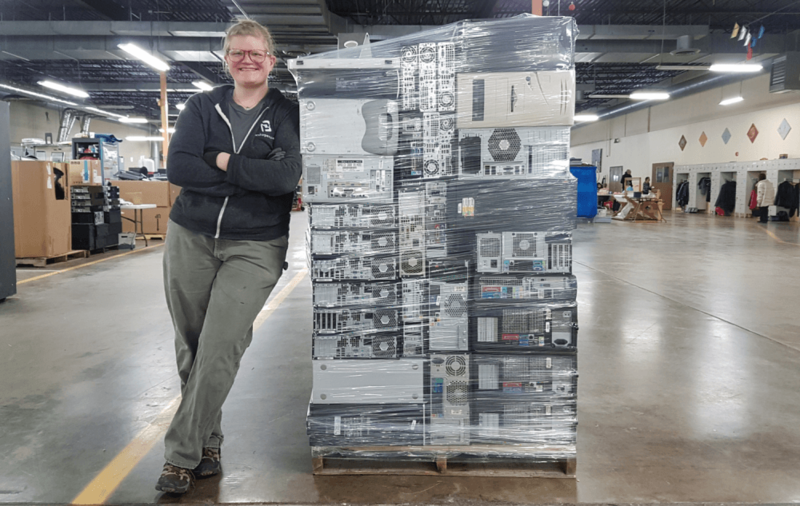 Let PCs for People’s Warehouse and Production Supervisor, Abbey Dibble show you how to properly stack your electronics and get them ready for transport or storage. 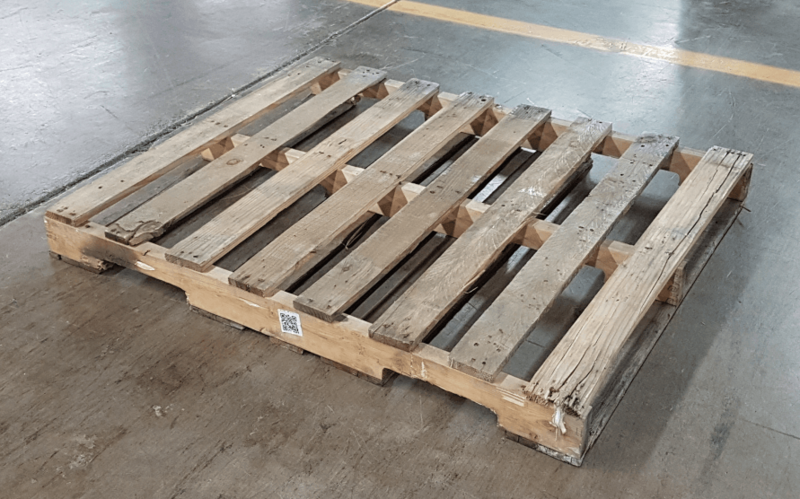 Stability – A pallet should be able to stand independently on its own. Its contents shouldn’t move when the pallet is properly moved or with light touches or shoves. Compactness – Gaps should be kept to a minimum–use smaller pieces of equipment and vertical positioning to fill all of the space between larger items. The stack must be the most compact size possible that preserves stability. Maintaining Edge Consistency – All items must be placed and stacked in a way that doesn’t protrude past the boundary of the pallet. If the items align with the edge of the pallet, do your best to maintain a consistent edge, avoiding jagged sections. Safety – You should not put yourself or others in harm’s way while assembling or disassembling your pallet. Pick a pallet that is unbroken and can sit on the floor without wobbling. Pallets with broken or loose parts should be replaced. Stage the pallet in such a way that a pallet jack will be able to safely approach it after the pallet has been stacked. 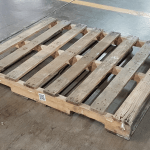 It is ideal to place heavier items towards the bottom of a pallet. A base layer of heavy, stable items will help reduce wobbling and provide the pallet stability as it is moved around. 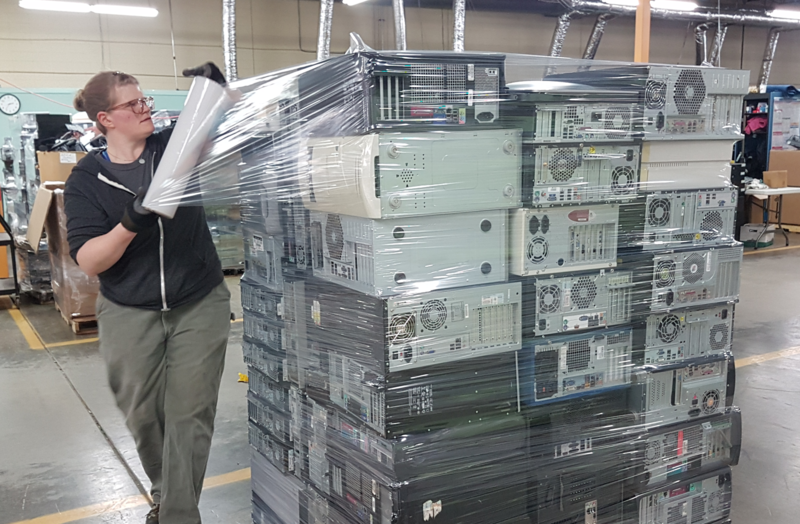 The pallet pictured on the right has a base layer of large, heavy computer towers on the outer edge (fact plates facing inward) with smaller computer towers filling in the gaps. Tip: Have sensitive areas (eg. 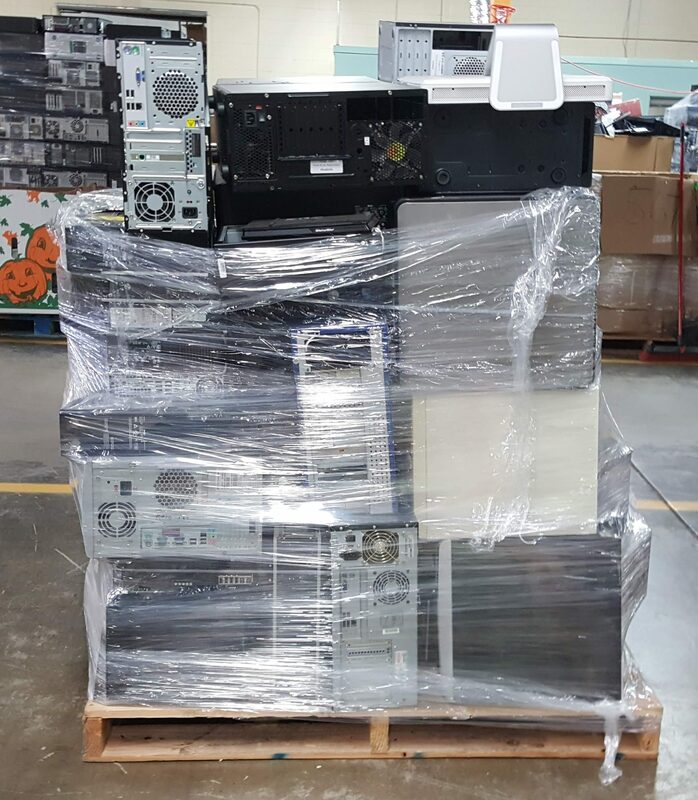 the face plates of computer towers) facing toward the inside of the pallet. 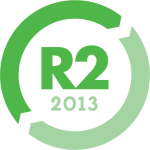 This offers maximum protection for items that are to be reused. As you build a tower by stacking items one of on top of each other, keep an eye on the edges of the pallet. Pallets must be able to sit next to other pallets within confined spaces in warehouse racks and trucks. It is essential not to have items sticking out beyond the edge of the wooden pallet frame. Pallets with items bulging beyond the wooden frame take up more space and thus reduce the amount available to other pallets. The ideal pallet also has a minimum of jagged edges or items sticking out even within the framework of the pallet itself. 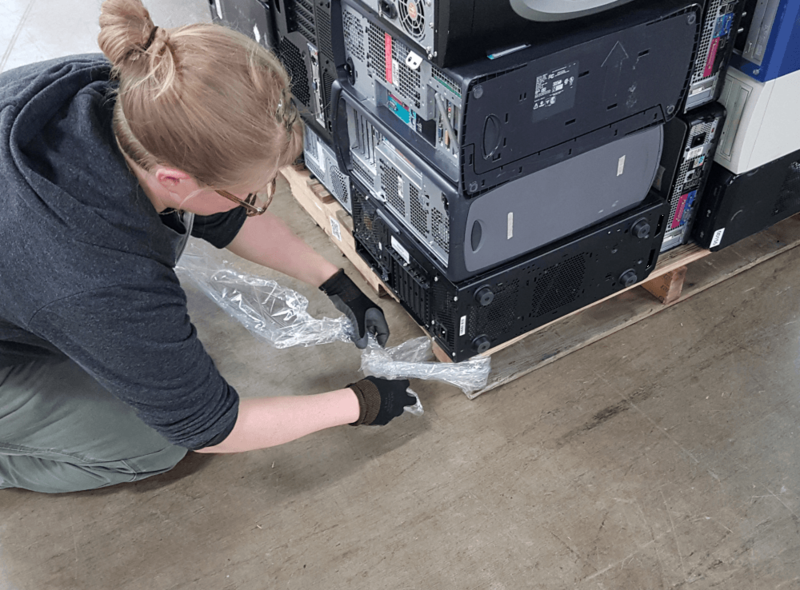 This minimizes instability from an uneven distribution of weight and reduces the chance of items getting caught on something while the pallet is being moved. Place similarly sized objects (eg. similar models) on top of one another. Fill in the edges of the pallet first and then fill inside gaps.  Tip: If an object is missing a side (eg. a computer tower without one wall), place it so that the hollow side is bearing no weight. When you make a mistake putting together a pallet, the wise thing to do is to un-stack and re-stack the pallet. Resist the temptation to take a shortcut. Your safety and the safety of everyone who comes into contact with your pallet might be at stake! The first step to wrapping a pallet with plastic is to tie-off the wrap on a corner of the pallet. Tying off the wrap secures it to the pallet allowing for more convenient unrolling and minimizing movement. After ensuring the tie-off is secure, go around the pallet with the roll of wrap putting layers of it around the items on the pallet. Make sure to pull the wrap snug around the corners and to lay down enough layers to prevent the wrap from tearing from objects pushing against it. Continue wrapping until you have fully covered all the objects at the top of the pallet. Tip: Stacks of items that are slightly loose will firm up as they are wrapped in plastic. 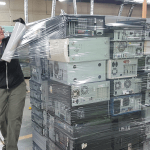 If the items you’re stacking are not uniform and are wobbling, wrap as you go to provide a more stable packing process. And that’s it! Your pallet should now be stacked, wrapped and ready for transport. 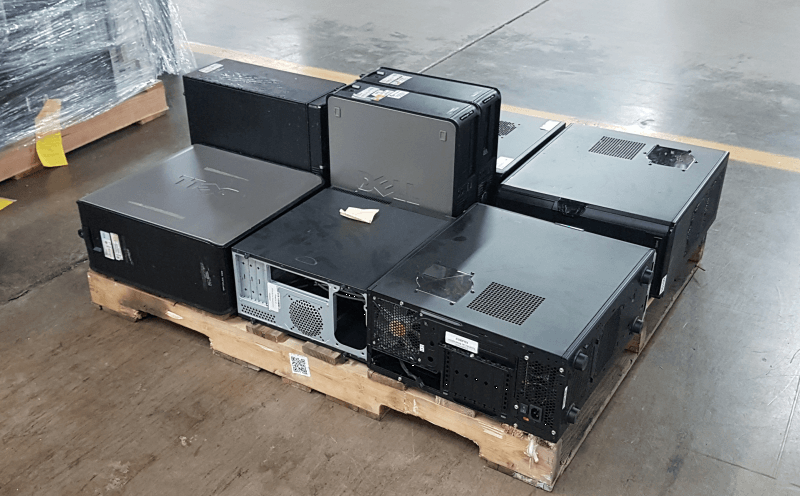 Sometimes PCs for People will receive a pallet that has not been prepared properly. Here is one such pallet Abbey identified for us. Can you spot the mistakes? The stack is leaning to one side and the weight has not been evenly distributed. Loose items have been placed at the top that have not been wrapped. Sensitive areas such are computer tower face plates are facing out. The contents of the pallet wobbled as it was pulled across the floor.